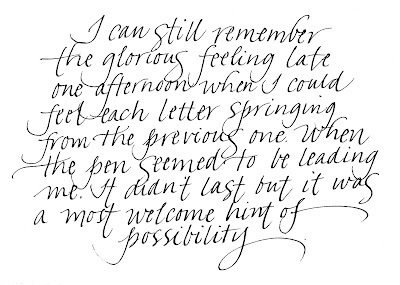 This is a memory from my first few years of calligraphy. 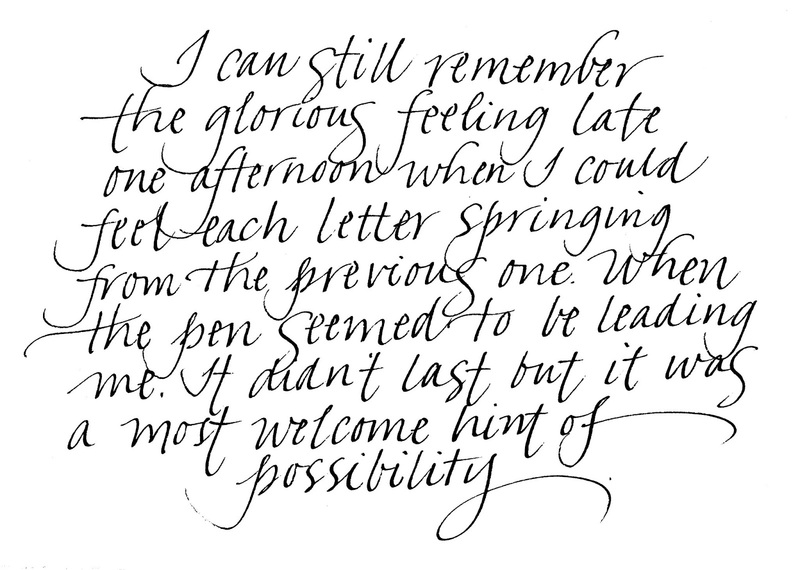 My lettering now takes very little conscious thought. I rarely plan what style I will use. I get out a pen or brush, some ink or paint, and start writing on paper. I most often go with whatever comes out although I sometimes will experiment. Working completely for myself and never for clients allows me this luxury.